A powerful little micro-traveler with a serious attitude. Corey is our entry level micro-traveler system. Featuring many of the same technologies that are found on our professional ranges, but made of durable, aircraft grade Magnesium Alloy, Corey is the perfect travel option for photographers who need their tripod to be as compact as possible. 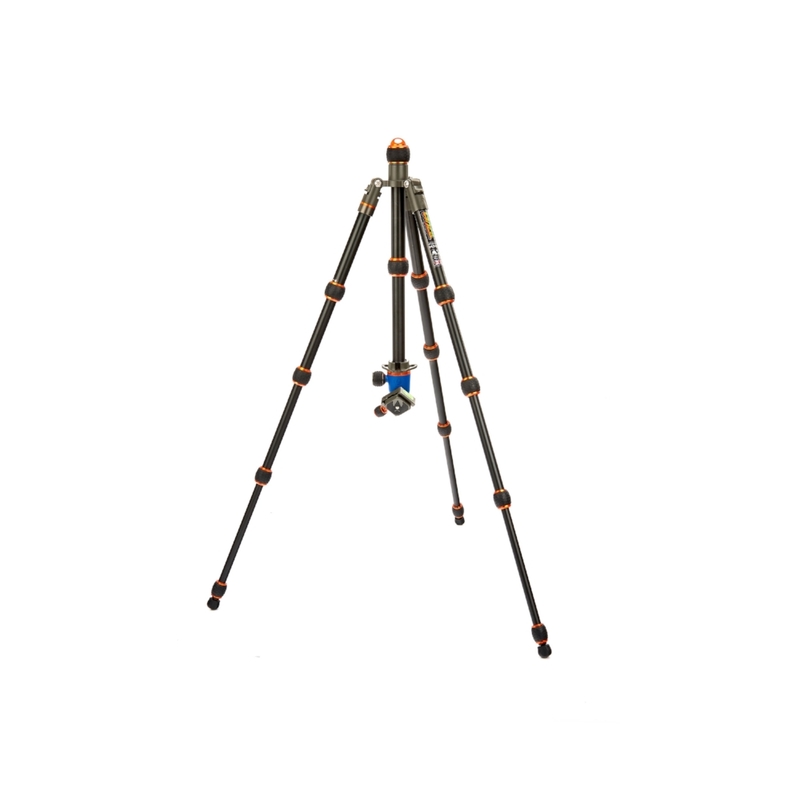 Corey is a solid tripod, with powder-coated furniture for durability, and precision engineered mechanisms for smooth, easy use. 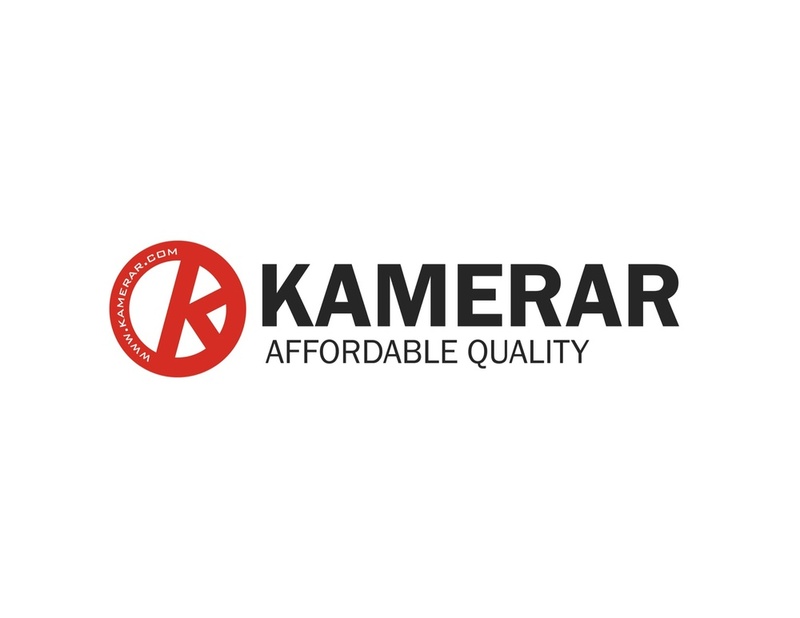 Most entry-level tripods lack the features of their professional counterparts, but with Corey you get many of the features of our pro range, including the patented Tri-mount plate, detachable monopod leg and interchangeable footwear for use on any terrain. Corey is packed with small details that really define the brand. Our approach to design aesthetics is a long way left field of our competitors, and it is our unique styling that separates us from the mundane. 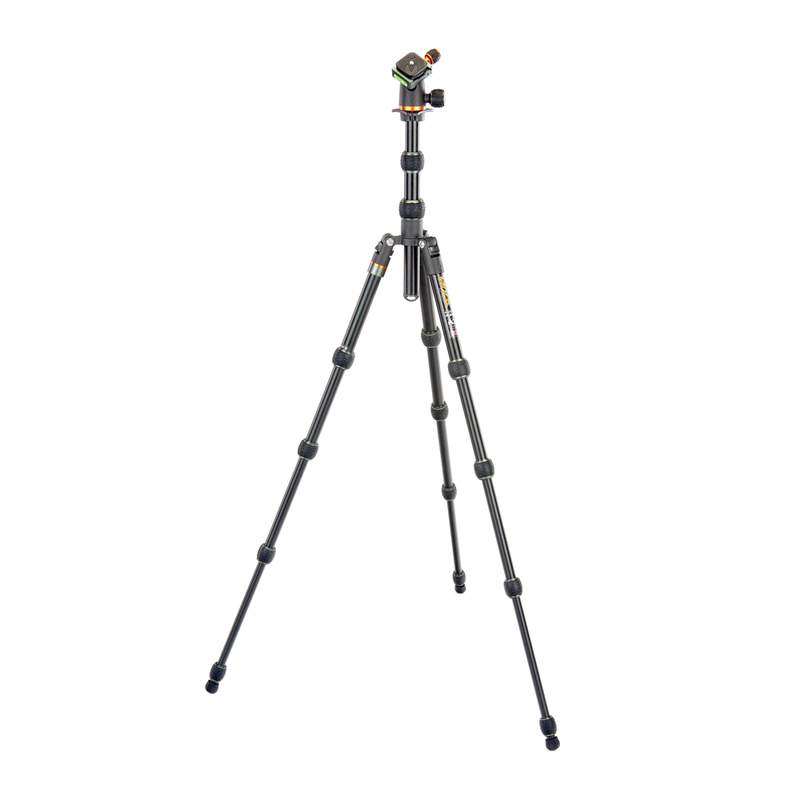 Corey is the most compact tripod in our catalogue, folding up to just 34cm / 13.67", making Corey the ultimate travel tripod. 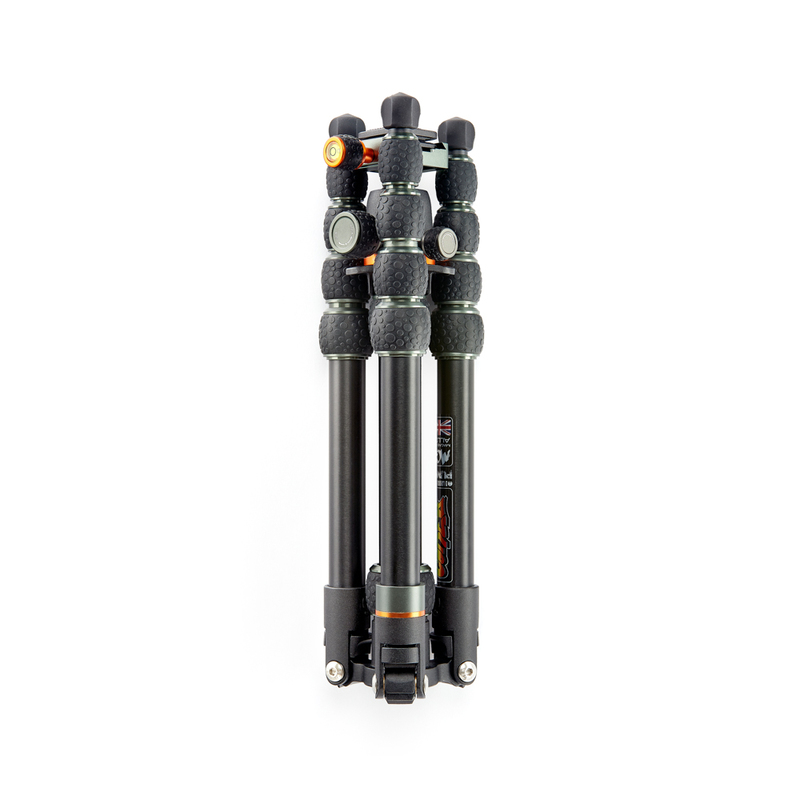 Corey, like all 3 Legged Thing tripods, comes with a detachable monopod leg that can also be used as a microphone or camera boom. Corey is capable of supporting loads up to 9 times his weight. With a 14kg payload, Corey is one of the strongest tripods in this class. Corey has detachable rubber Bootz, which can be replaced with any of our foot accessories, for maximum stability on any terrain. Below is a list of Corey's specifications, including the awesome AirHed Neo. 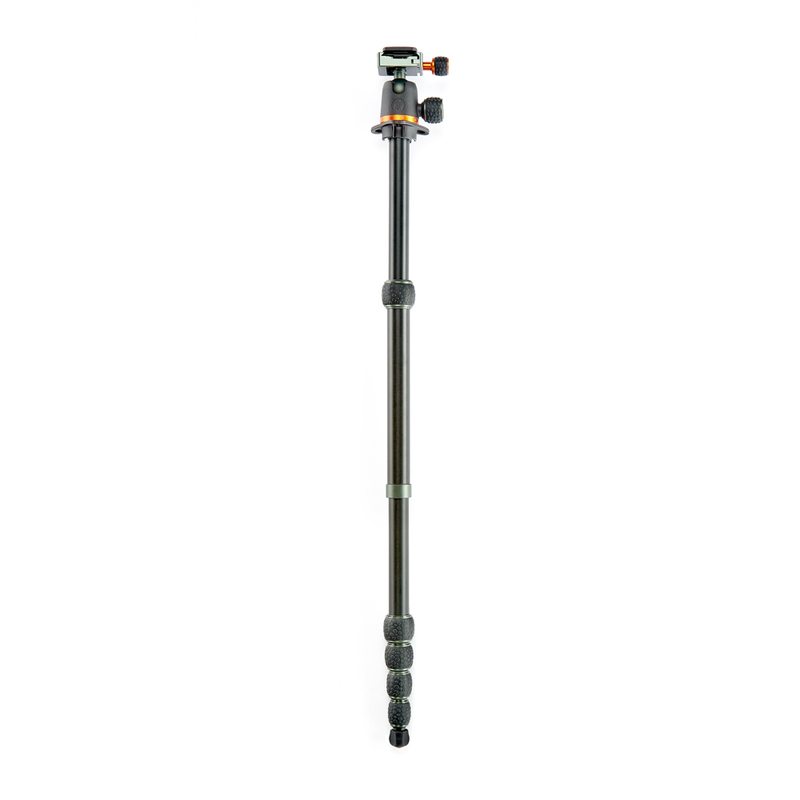 Max Height 1.5 m / 59 "
Max Height w/o column 1.18 m / 46.3 "
Min Height 185 mm / 7.25 "
Monopod Max Height 1.5 m / 59 "